SLAYER will take a break from writing and recording their next album to hit the road on May 9 for a handful of dates intended to pummel devotees with a night of moshing and frenetic thrash-punk-metal. 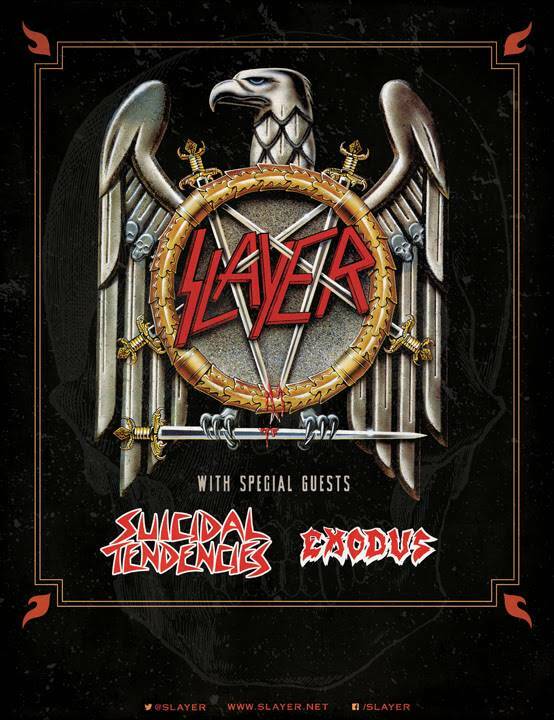 Joining SLAYER as special guests for these shows are SUICIDAL TENDENCIES and EXODUS, marking the first time SLAYER and SUICIDAL have toured together since the 1990 European "Clash Of The Titans" tour. Gary Holt, who continues to fill in for SLAYER's fallen guitarist Jeff Hanneman, will do double-duty as guitarist in his primary band, EXODUS. Tickets for SLAYER / SUICIDAL / EXODUS go on sale this Friday, January 24. Log on to Slayer.net for ticketing information. 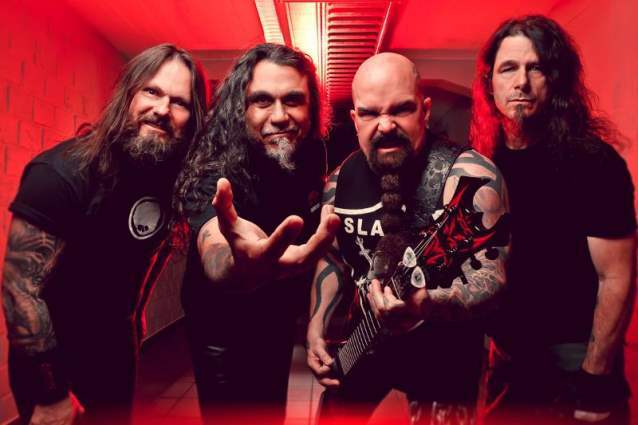 "Can't wait for this week of shows to happen,” said SLAYER's Kerry King. "LOVE SUICIDAL, and haven't played with them in over 20 years! Everyone knows I'm a huge EXODUS fan also. I guarantee you I will be watching every show from the stage! Going to be awesome!!!" "It's been 24 years since SUICIDAL TENDENCIES played with SLAYER," added SUICIDAL TENDENCIES' Mike Muir, "so it's long overdue that we finally play some shows in the States together. I have lots of great memories from that tour, and know that there will be a lot more after these shows, for the band and the people. Can't wait!" The dates will culminate for all three bands at the May 17 Rock On The Range rock festival in Columbus, Ohio, where they will share the stage with artists including GUNS N' ROSES, AVENGED SEVENFOLD, and KID ROCK.